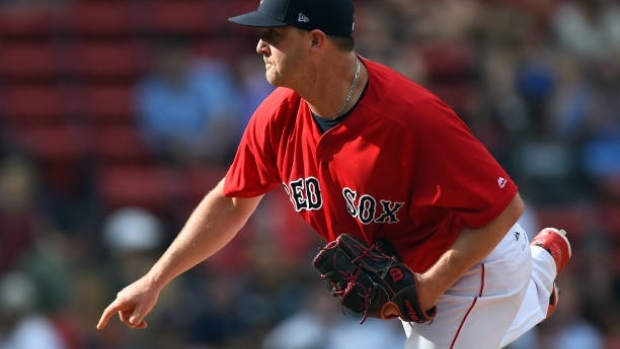 Boston Red Sox knuckleballer Steven Wright has received an 80-game suspension from Major League Baseball for use of Growth Hormone Releasing Peptide 2 (GHRP-2), a performance-enhancing drug. Use of GHRP-2 is a breach of the league's Joint Drug Prevention and Treatment Program. Wright, 34, is headed into his eighth MLB season, all with the Red Sox. In 20 games last season, Wright was 3-1 with a 2.68 earned run average and a WHIP of 1.248 in 53.2 innings pitched. This is the second suspension in two years for Wright. He was banned for the first 15 games of last season for a violation of the league's personal conduct policy after a domestic abuse arrest in December of 2017.